Lock in a great price for Aaron Lodge Guest House – rated 9.2 by recent guests! Liked being able to use the kitchen, make coffee etc when required, also liked being able to use the lounge and TV. Really friendly & helpful landlady. It really is the perfect combination of a self-catering accommodation and a bed & breakfast. 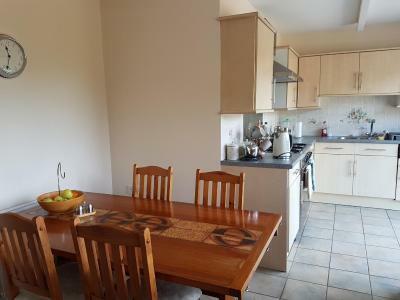 There is a fully-stocked kitchen available to all guests, a lovely lounge and a decent sized garden. Plenty of parking space, and very handy for local shops and the city centre. Breakfast is "continental", but there is cheese, eggs, toast/bread, real and instant coffee, tea, jam, preserves, cereals, Marmite, porridge... The house is clean, bright, airy and cheerful. I would happily stay again for longer. Stayed there before privately, so was recommended by my company - SSCOM, to stay there again. Nice house. Plenty of choice of help yourself breakfast. Nice single room with sink and mirror. Warm and comfortable. Great breakfast. So friendly and homely. Bed was best we have slept in. Defiantly go again when in Leicester. Only stayed one night but made really welcome. Food fresh and plenty. Good value for money! Communal lounge cosy, we felt like at home ! Good size room with a tv included, delicious breakfast. Easy access and parking available. Very clean and comfortable single room. Very good selection for continental breakfast. Aaron Lodge Guest House This rating is a reflection of how the property compares to the industry standard when it comes to price, facilities and services available. It's based on a self-evaluation by the property. Use this rating to help choose your stay! 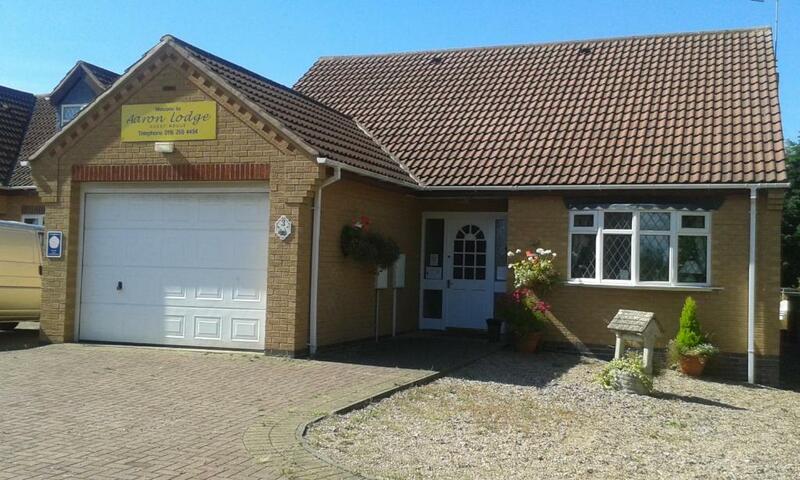 Aaron Lodge Guest House is located in Thurmaston, 4 mi from the center of Leicester. Free private parking is available on site. All rooms are fitted with a TV and tea/coffee making facilities. Some rooms include an private bathroom and a seating area to relax in after a busy day. Aaron Lodge Guest House features free high-speed WiFi. At the property you will find a lounge and a shared kitchen for guests' use. 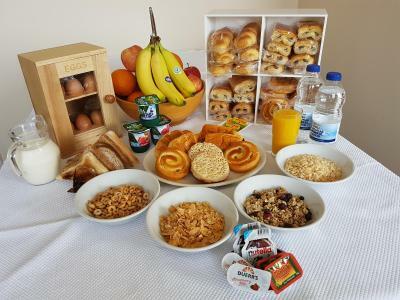 There is a dining room where a complimentary self-served Continental breakfast is available each morning, consisting of cereals, toasts, jam, marmalade, pastries, yogurts, orange juice and tea/coffee. Nottingham is 24 mi from Aaron Lodge Guest House, while Derby is 31 mi away. 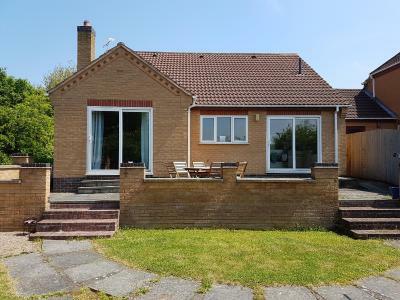 The nearest airport is East Midlands Airport, 19 mi from the property. When would you like to stay at Aaron Lodge Guest House? This room feature s sink and tea/coffee making facilities. This room offers tea/coffee making facilities and a seating area. This triple room features a seating area and tea/coffee making facilities. House Rules Aaron Lodge Guest House takes special requests – add in the next step! Aaron Lodge Guest House accepts these cards and reserves the right to temporarily hold an amount prior to arrival. Please inform Aaron Lodge Guest House of your expected arrival time in advance. You can use the Special Requests box when booking, or contact the property directly using the contact details in your confirmation. Not being able to get in to the property on our return from our party, it was freezing standing on the doorstep! Another guest had dropped the latch, not the fault of the owners but problem needs to be addressed! Thankfully they were only 10 mins away and were able to gain access for us. Apologies accepted. For a short stay, nothing could have been better. Friendly staff and cosy bedroom. Far too hot even with windows open. One couple also staying at the property VERY noisy ! Squeaky floorboards, terribly noisy downstairs. Furnished with cheap furnishings. Bathrooms could improve with a deep clean or refurbishing. No decaf tea or coffee. Small A4 size TV, good excuse to listen to music. Bed mattress very soft and bath tub very short but they are not big issues , the whole place was excellemt and we will definitely come back if we are in the area!